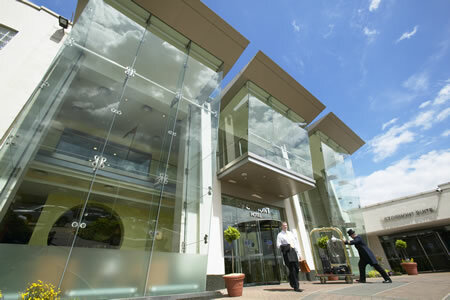 The 4 Star Stormont Hotel comes into its own when it comes to hosting conferences, business meetings and special events, with the modern, purpose-built Confex Centre which is Northern Ireland's best equipped, most flexible conference and convention suite and is comprised of ten individual rooms. 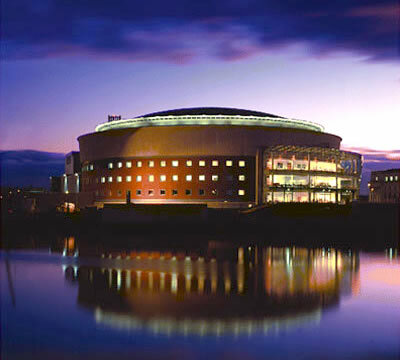 There are 16 conference suites in total, and the largest function room, the Stormont Suite accommodates up to 600 conference delegates, and has its own private entrance reception area bar. The Group's commitment to quality, service, facilities and accommodation is further assured by their 'Meeting Excellence Programme', a 14-point performance guarantee package. This unique service is designed to support you in planning and conducting more effective meetings. This is your guarantee that you will find purpose designed, well equipped meeting and training facilities, supported by friendly, fully trained staff along with consistent high standards of performance and quality, each and every time. 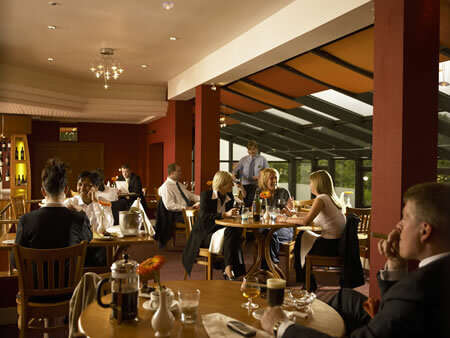 The Stormont hotel boasts two restaurants and a wide choice of delicious food. The ultra-modern, chic La Scala Bistro provides diners with a perfect blend of continental taste and Northern Ireland hospitality. hiraz Restaurant provides the ultimate experience in culinary delights, using only the best local produce. It offers a more international range of dishes, complemented with award-winning wines. The Stormont is most definitely a hotel of luxury and prestige. Each bedroom is tastefully decorated and furnished to the highest standards, persuading guests to come back time after time. 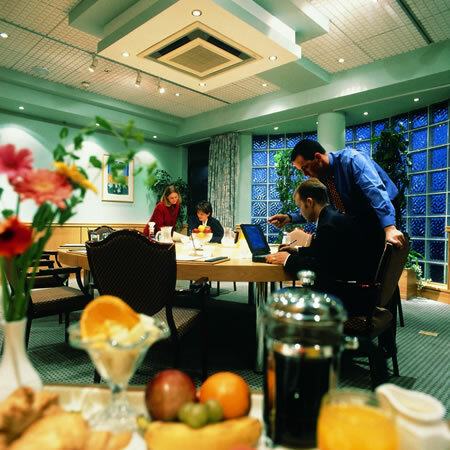 A comprehensive range of audio/visual equipment is available at the Hastings Stormont Hotel and from Saville Audio Visual.